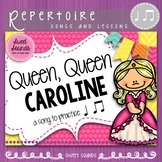 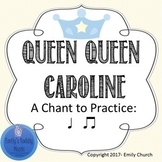 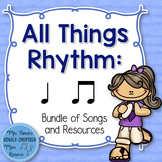 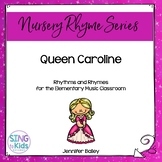 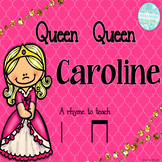 Queen, Queen, Caroline: A chant to teach "ta and ti ti"
Freebie!! 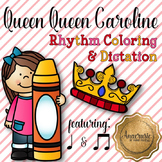 This PDF includes: *Beat Slide *Rhythm prep slide *Rhythm slide *song notation *beat cards for your students *Rhythm icon cards for your students **If you like this, please rate it and follow me for more freebies! 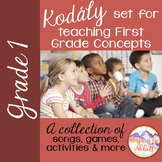 **Please check out the other items in my store. 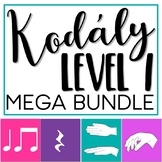 This product contains 2 pages. 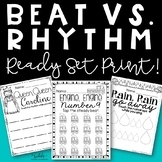 The first page is a standard beat icon chart while the second is an icon chart for the word rhythm. 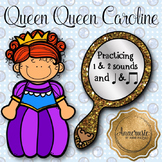 I used this to introduce long and short sounds to first to prep ta and ti-ti. 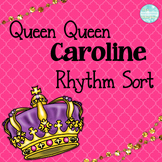 Crown icons to practice keeping the beat with "Queen, Queen Caroline".